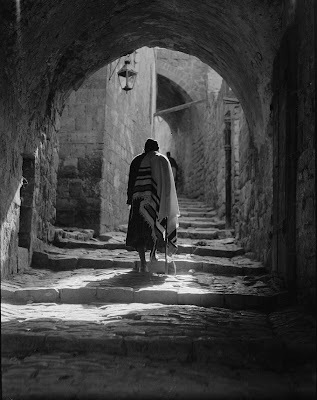 ﻿We found this picture to be an incredibly engaging portrait of an old Jewish man with his cane and tallit (prayer shawl) leaving prayers in the Old City of Jerusalem, most likely coming from the Western Wall. The subject, light and lines make it a beautiful composition. The picture was taken between 1934 and 1939, according to the Library of Congress caption. Researching the picture in the Library of Congress online archives, we then discovered a series of pictures taken in the Jewish Quarter alleyways. 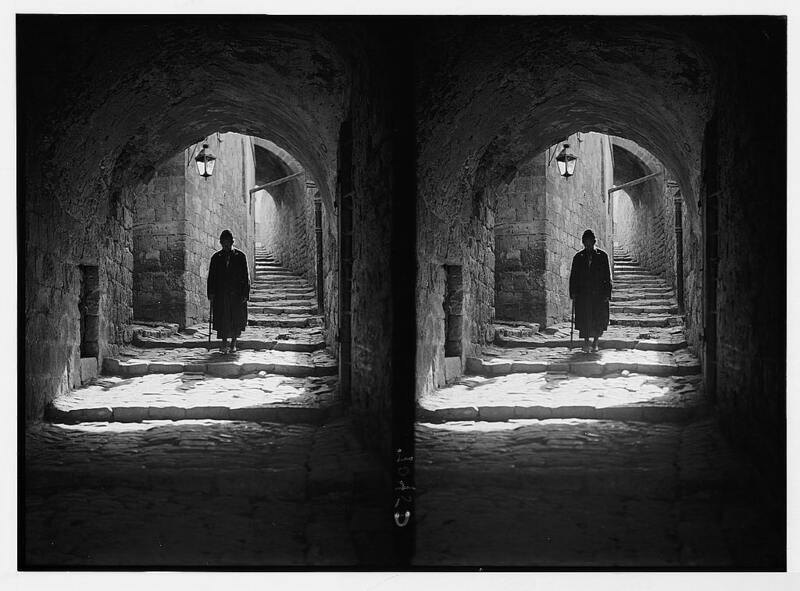 Some of the pictures are of the same man with the cane, a photographic study, apparently, of a Yemenite Jew. 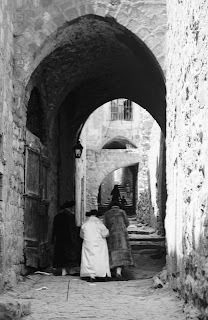 The American Colony maintained a special relationship with Jerusalem's Yemenite community starting in 1882. 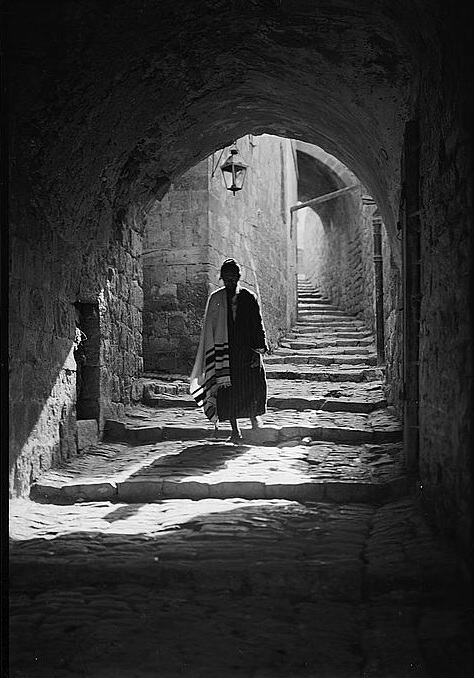 Other pictures in the American Colony collection show Hassidic Jews (of European origins) walking on the steps of the Jewish Quarter in the 1930s.